The finished piece is simple, functional and well.... pretty gorgeous, if I do say so myself! 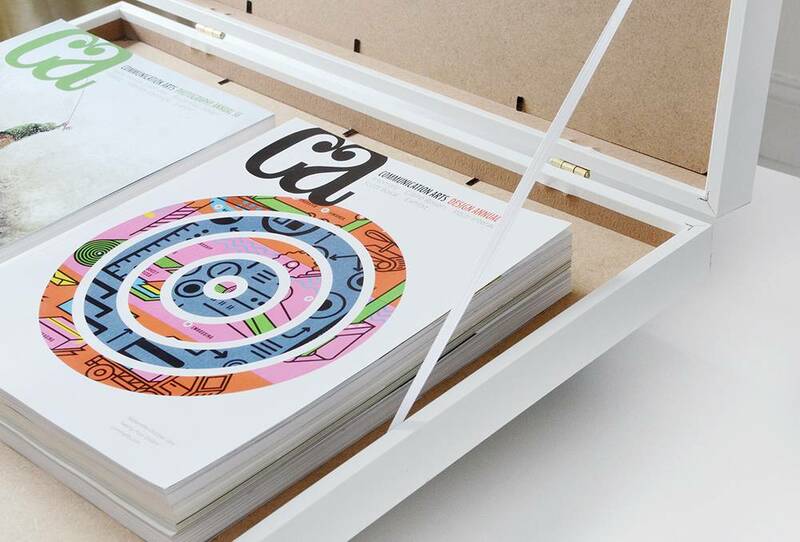 Here's what you'll need to make your own under bed storage. 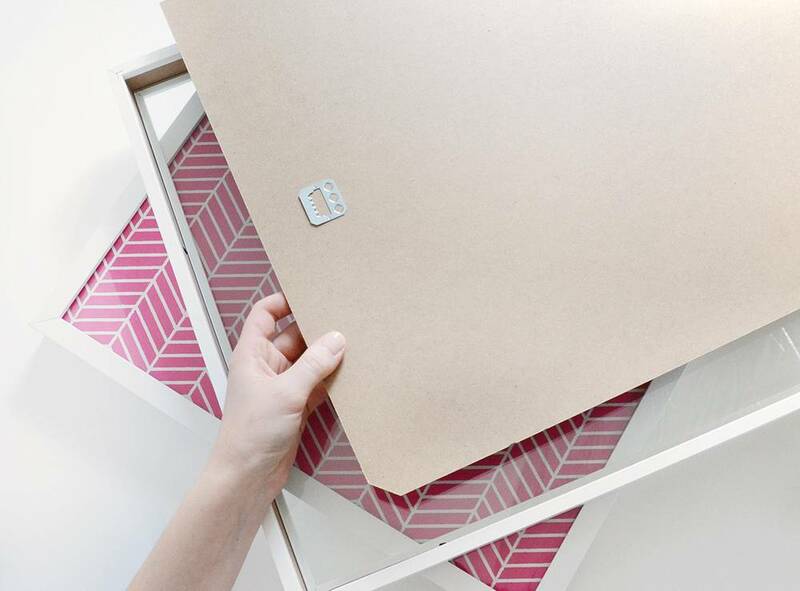 Begin by "framing" the sheet of 16x20" gift wrap paper. This will be the top of the case. Replace the chipboard backing upside down so the metal hangers are not visible. On the other frame, remove the mat and paper that comes in the frame and then replace the chipboard upside down again. You could put another piece of gift wrap in this frame, but I didn't because it will ultimately end up on the bottom and not be seen. Next, place the frames on top of one another with back sides together and attach a hinge 4" from the end. Be sure to orient the hinge so that the beveled side of the screw holes are facing up. Attach the remaining hinge 4" from the other end. The screws should go in easily enough with a drill, but they will probably make a horrible screeching noise when they go in. Next, attach your hook and staple. This will be how you fasten your case to keep it closed. Be sure to leave the screw that attaches the hook slightly loose so it can open and close. 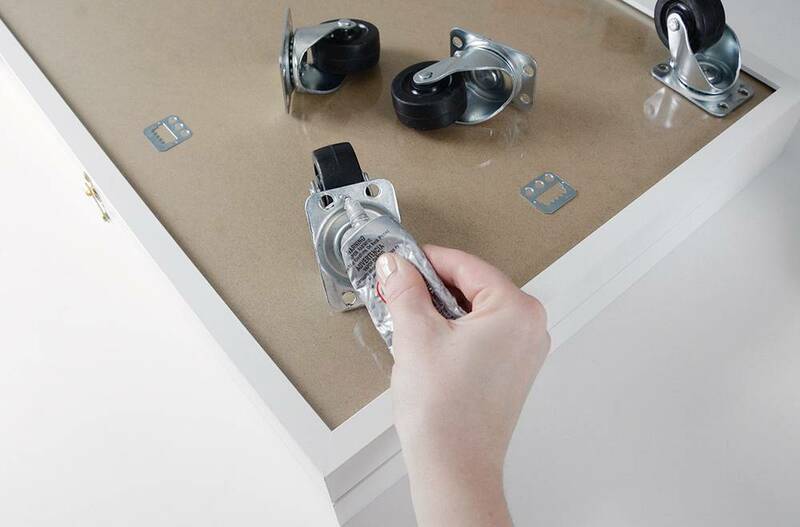 Now, use your E6000 glue to adhere the casters to the bottom of the under bed storage case. They should be positioned in the corners about 1/2" from the frames themselves so they can swivel smoothly. Last, you'll want to attach a piece of ribbon to keep the case from opening fully (if it does, it may pull the hinges out of place). Open the case and position it on its side, with it open slightly more than 90 degrees as shown above. Fold over the end of one piece of ribbon and use a thumbtack to attach it to the inside of the frame. Use a hammer to get it all the way into the frame. Flowered hammers work best ;) Do the same on the other side and then trim the excess ribbon. And you're all finished! These cases are perfect for holding old photos, magazines, artwork, or anything that you want to store out of the way under the bed. They are completely customizable, too... choose any type of gift wrap for the inside! And IKEA also offers black Ribba frames if you prefer a darker color scheme. 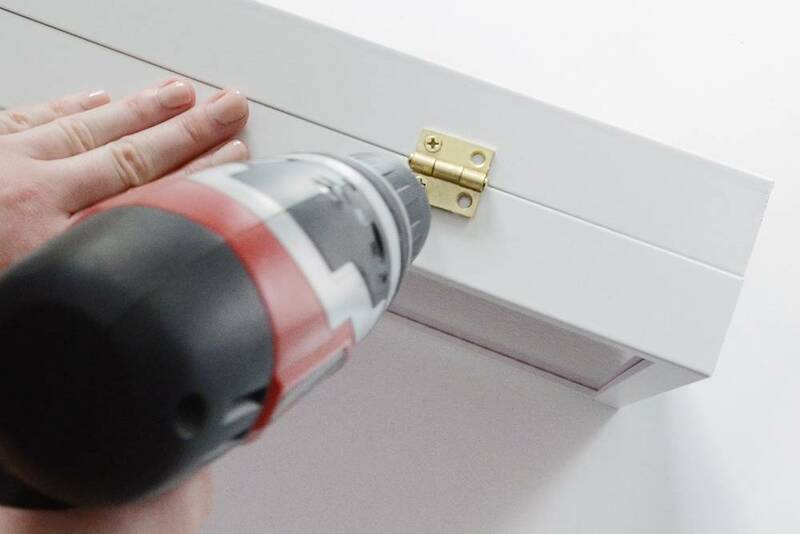 Interested in trying more IKEA hacks? Check out some others here.